Quintessential garden parties with Pimm’s and lemonade, barbeques with every type of meat possible, teepees and campfires with melting marshmallows, light and floral cocktails on offer at drinks receptions, and ice creams (don’t forget the ice creams!) – whatever you want to do for your summer event, we’re here to help! With the weather having a little lull, it’s the perfect opportunity to plan your last-minute summer event, just in time for that Indian summer we always talk of. If you’re looking for some summer stimulus, have a read over our favourite summer events we’ve created in the past. If there are any elements you like the sound of, get in touch and we can help you make your summer event one to remember. If you can’t beat them, join them! With festivals just about every other week, why not make your summer event into a summer festival. This could be a one day festival, or you could go all out and make a weekend of it. One of our favourite festivals we created was for Byron – they requested some team building and a little bit of fun as a thank you to employees, and we delivered Byron Festival at Reading’s Wasing Park. We provided lawn games for team building activities and a tiki bar full of cocktails and champagne. 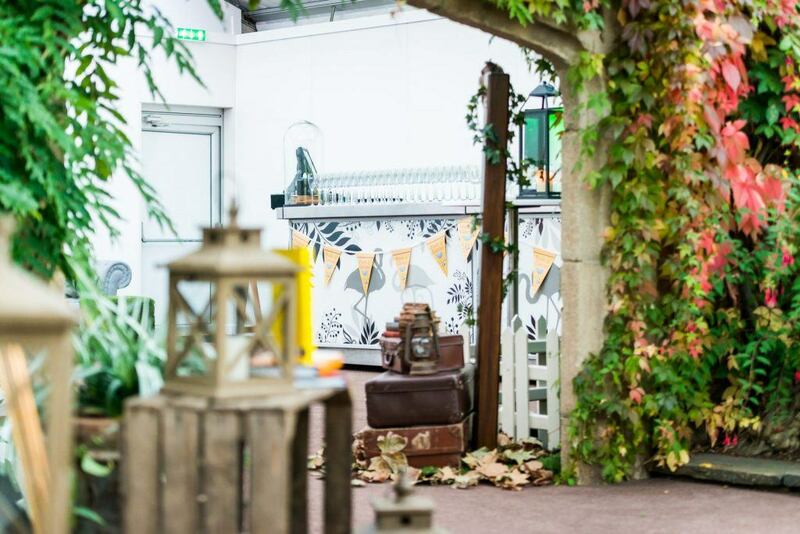 Theming included a colourful parasol wall, paper poms and bright lanterns amongst the trees. Food was served by Miss P’s BBQ, a very popular street food trader. 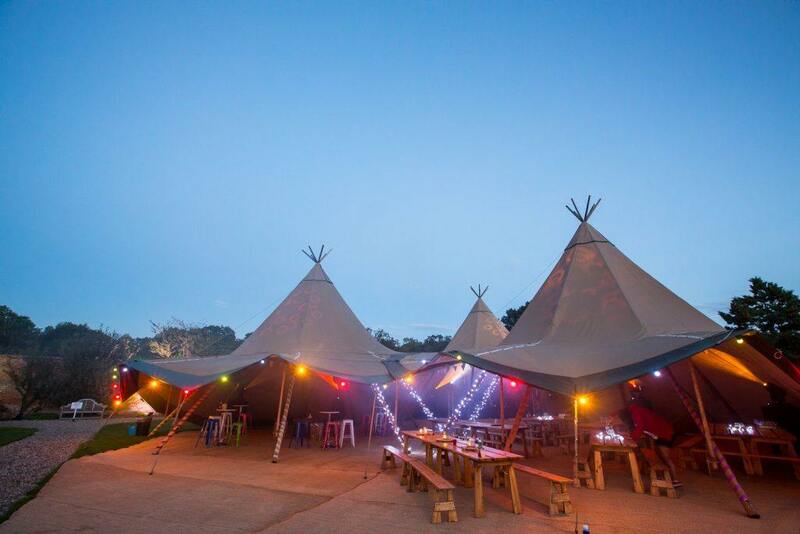 A giant teepee housed the evening entertainment, comprising a fire pit, dance floor, disco ball and DJ. Guests finished the night in luxury yurts and awoke to a special Byron breakfast. Seemingly less raucous than a festival or a big party, the humble picnic or dinner party still has a very important place in the summer party line up. A vast field, a private garden, or a rooftop away from the hustle and bustle can be the perfect set up. The pressure is on when you’re tasked with recreating a well-loved character’s world, especially if the books have been read and re-read time and time again. The Winnie the Pooh 90th birthday was an incredible brief and we loved being part of this celebration at Kensington Roof Gardens. Guests entered through a Mr Sanders doorway, passing through Rabbit’s garden, Piglet’s house, Owl’s tree and finally to Winnie the Pooh’s picnic. The space was filled with signs in typical Pooh style with “wobbly” misspellings as finishing touches. Guests were then served afternoon tea treats and a few jars of “hunny”. The Spanish know how to have a good time, so we’ve got the upper hand when creating a summer event with this theme. There’s ample opportunity for Spanish catering, think paella, sangria, churros, pintxos, patatas bravas – the list is almost endless. We put on an amazing Spanish party at the perfect venue, Spanish restaurant Aqua Nueva. 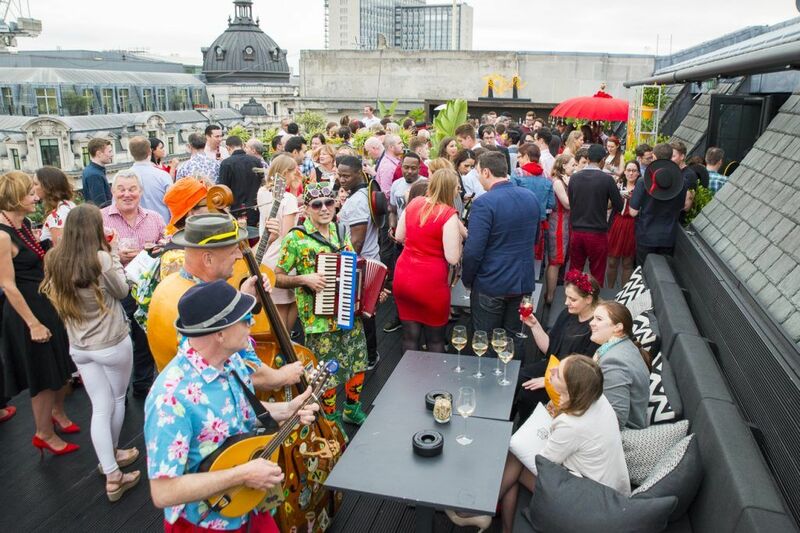 We hosted the festivities on their roof terrace overlooking Regent Street. The venue already had enough Spanish theming to boot, so we held off on the Spanish flags. The party consisted of a churros tricycle, street performers, a Spanish party band, photo booth, a raffle, face painters, and more sangria than you could shake an maraca at. We hope we’ve whet your summer event appetite. We’re more than happy to discuss any other ideas or requests you have, just get in touch and let us know your summer event plans. And if you’ve already had your summer event… there’s always next year’s to plan! We also do awards ceremonies, Christmas parties, dinners, conferences – in fact, you name it and we’ll do our very best to support you through it, whether it’s venue sourcing, theming, entertainment or full event management.